Face it parents: we grew up in a different time. As kids, nothing was handed to us. We worked (or helped) to earn our rewards. Scouting still believes in - and stands for - the core value of earning what you get. We hope to make this our ONLY fundraiser for the year! Selling Popcorn makes Scouting a great experience for our sons, siblings and parents. This allows us to purchase awards and recognitions, keep our website, pay for expenses, supplies, and everything our Pack needs to run a well rounded program. Let's do a good job and get it done! Can help a Scout get to a camp, go on a hike, accomplish an achievement. 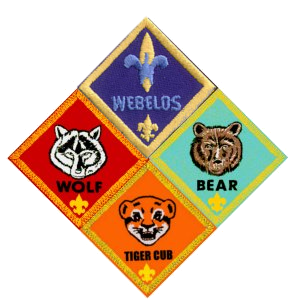 Top in Pack and in Tiger Cub, Wolf, Bear and Webelos dens earn a giftcard to the Scout shop. Mom and/or Dad deliver product and collect the money in a few weeks but preferably at time of taking an order. All Checks made out to "Cub Scout Pack 208"